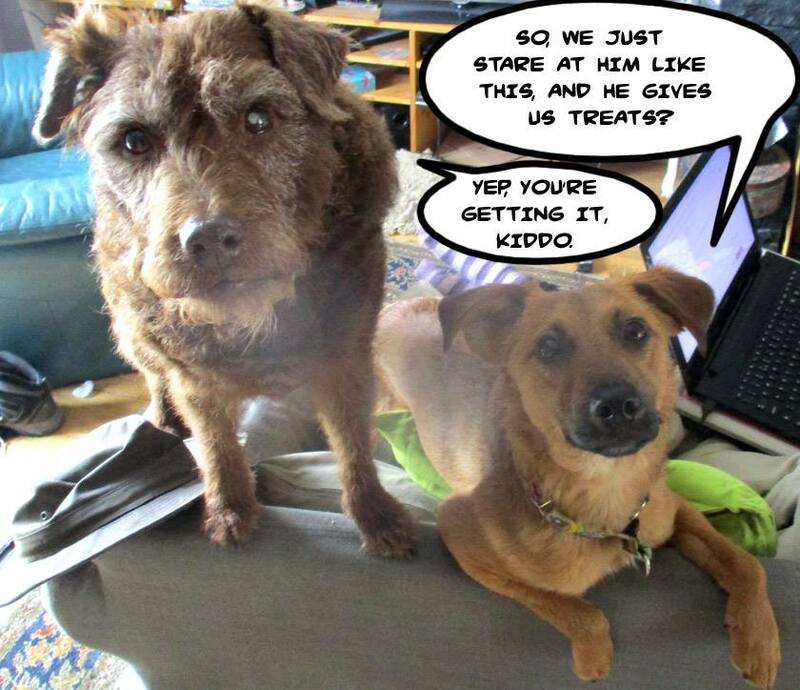 Alfie update – I think we have had a bit of a revolution – well 2 steps forward at least. Alfie is taking more notice of the outside world – he is ducking in and out to the garden. Look at dear old Wills watching him! Alf understands that the summer house is at the end of the garden – all I have to do now is get the keys and shout that we are going ‘summer house’ and he dashes about the garden round me. 4 weeks ago I was dragging him down on the lead. I need to say a HUGE THANK YOU to all my customers!! You are amazing. I have people dropping in every day just to say hello to Alfie and get him used to being talked too – and I have people bringing in their dogs to say hi as well. Everyone says how much he has changed already and I am so grateful for their feedback – it’s hard to know how you are doing when you are working day after day – you see the teeny tiny steps – but you mis that it all adds together. His body posture is so much better now – I didn’t realise quite how big he is! He cowed in just below knee height when I first met him – now his nose bumps my bottom! !